Before you can understand air pollution, you need to have an understanding of clean air. Clean air is air that has no harmful levels of pollutants (dirt, dust, airborne microbes, and chemicals) in it. 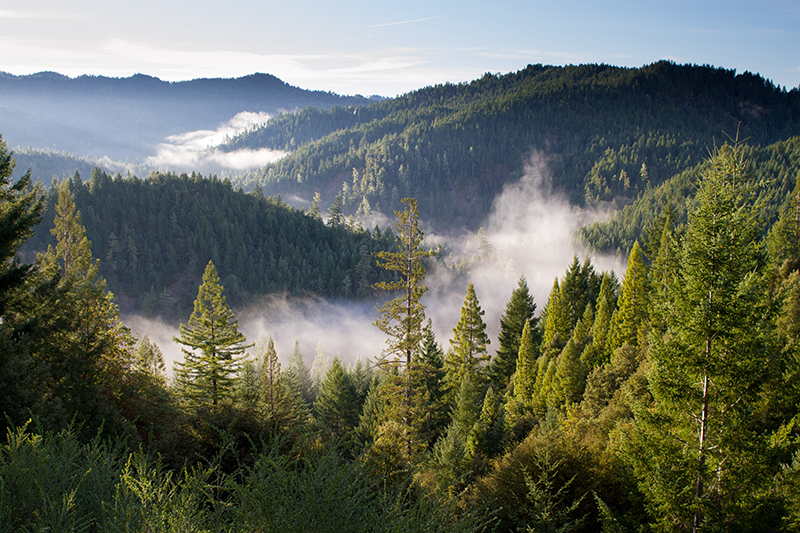 Clean air is essential to good health and a basic human need. Every day, the average adult breathes about 20,000 litres of air. Particulate matter(PM) floats through the air and with every breath we take we breathe it in, and most of it is not visible to the naked eye. When you inhale, you breathe in air along with any particles that are in the air. Although so small as to be invisible, PM is the air pollution that most commonly affects people’s health. Mold spores, pollen, dust and animal dander all have a specific particle size. Depending on which of these particles you are allergic to, LightAir’s air purifiers remove 99.97% of all fine and ultra-fine particles from the air. The table below shows several standards in different countries. According to the WHO air quality guidelines for PM10 is 20 micrograms per cubic metre (µg/m3) as an annual average, but the data released today shows that average PM10 in some cities has reached up to 300 µg/m3. Small particles are most harmful and dangerous. 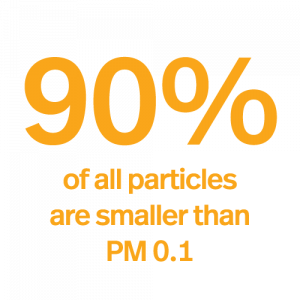 90% of all particles in the air are smaller than PM0.1 (0.1 micron). Viruses are also ultra fine particles. The small size of ultra fine particles make them easily inhaled, and causes them to deposit in the lungs and enter the bloodstream. These PM0.1 travels deeper into the lungs and because the PM0-1 is made up things that are more toxic (like heavy metals and cancer causing organic compounds). Manufacturers of ordinary air filtration systems, such as HEPA, claim that their systems filter only particles larger than 0.3 or 0.1 microns. LightAir IonFlow air purifier removes particles down to PM 0.007 (0.007 microns). Traditional HEPA air purifiers only capture particles down to PM 0.3 or 0.1. However, more than 90% of all particles in the air are smaller than PM 0.1 (0,1 micron) and these are the most harmful to your health. 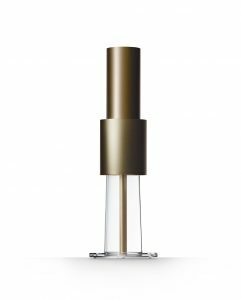 LightAir IonFlow air purifier has a unique ability to clean the air from fine- and ultra fine particles, all the way down to PM0.007. These particles are extremely hard to catch because of their small size.